Claire Williams speaks to Sky Sports News as Williams unveil their new car for the 2019 season. Williams have unveiled a revised look for 2019 with the sport’s one-time dominant team eyeing a dramatic renaissance in fortunes this year. While Williams’ actual 2019 car, the FW42, is being kept under wraps until the opening day of winter testing on February 18, the reveal of this season’s livery at their Grove factory effectively opens what they hope will be a new chapter for the team. 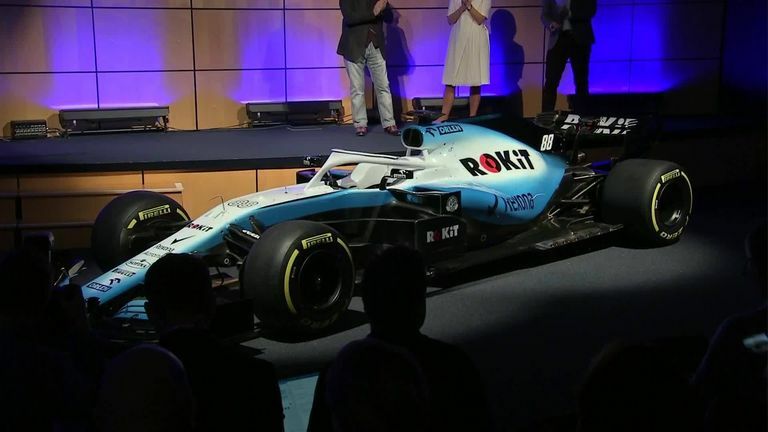 Along with the new black, white and blue colour scheme, the team also revealed a new title partner – ROKiT, a global telecommunications company.